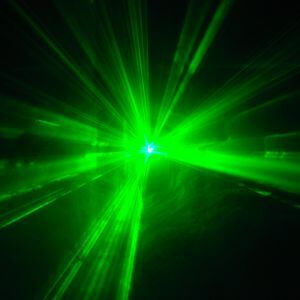 Gilbert v. Wessels, a case from the Supreme Court of Tennessee, involved plaintiff who underwent laser eye surgery performed by defendant ophthalmologist. After suffering a serious personal injury as a result of this surgery, plaintiff filed a medical malpractice action against defendant. Trial court set the case for trial in July of 2012, and then later continued trial date until October of 2012. Less than a month before trial, defendant filed a motion to waive the state’s contiguous state requirement for expert witnesses, requesting that an ophthalmologist from Florida be allowed to testify on his behalf at trial. His reason for this was only three doctors in the county, he claimed, were experts in this new type of laser eye surgery, and there was not a doctor in his state or a neighboring state who could testify about the appropriate standard of care when performing this eye surgery. This issue deals with the difference between a local or community standard of care and a national standard of care. At one time, doctors in smaller towns did have the same capabilities of doctors in large cities when practicing medicine. In 1880, the Supreme Judicial Court essentially created a local standard of care requirement, which was followed by many other states. Basically, it means that doctor must act as a reasonable and prudent doctor in the particular community. If doctors in a small town did not have access to the latest medical equipment and training, it would not be held against them. However, in today’s world, a doctor practicing anywhere in the United States should do so with the same standard of care as any other doctor in the United States. Boston medical malpractice attorneys known the Supreme Judicial Court of Massachusetts overturned the 1880 case in 1968 and adopted a national standard of care requirement. In Gilbert, it appears that state has a contiguous state requirement, meaning doctors must adhere to the standard of care of any doctor in their specialty practicing in their state or a state that physically touches the state. Florida does not border Tennessee, so that was the issue at hand. Trial judge conducted a pretrial hearing and ruled doctor had not established a local expert could not testify about the standard of care required when performing this new laser eye surgery and did not allow defendant’s expert to testify. Defendant appealed to the intermediary court of appeals, and the court held trial judge did not abuse his discretion. Defendant had made only a cursory effort to find a suitable expert in the state or in a contiguous state. Defendant then filed an interlocutory appeal to the state supreme court. During this appeal, the court held trial judge used the appropriate statute, held a hearing, and applied long standing state law. The court also found intermediary court of appeals should not have granted an appeal on the case. The supreme court affirmed trial judge’s ruling and ordered defendant to pay for all costs associated with appealing the issue. A trial on the merits was ordered with the trial judge’s exclusion of Florida expert in place.